The Golan's topography and the absence of an effective buffer zone require certainty about Israel's continued presence on the Heights. Lately, a window of opportunity has opened for establishing a new formula for future arrangements on the Golan Heights. Syria, even if it survives as a united state, will not remain what it once was. 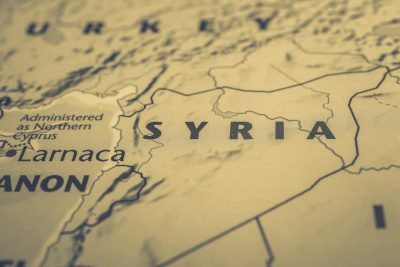 The international consensus which assumes that the Israeli-Syrian border will pass along the shores of the Sea of Galilee has, in the fog of Syria’s civil war, become irrelevant. 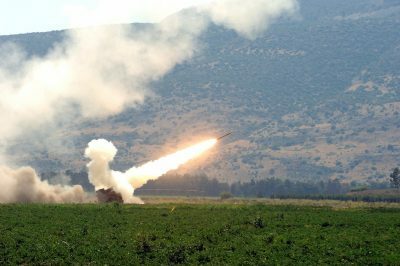 The combination of what is unfolding in Syria with the American retreat from Iraq requires the adoption of a new and frank Israeli strategy, which links any future agreement with the Palestinians to Israeli control over the Golan. Whereas the “Syrian track” served for many years as an alternative to the Palestinian one, it must now be turned into its complementary avenue. Those who deal with the risks facing Israel must now confront three challenges: the Iranian, the Syrian and the Palestinian. The apparent positioning of Iran as a threshold nuclear state changes the equation of threats facing this country. Over the next two decades, Iran will be more dangerous than the Iran of the previous two. On the Palestinian front as well, the threats facing Israel are more serious than those of the last decade. In June 2002, a “road map’ for resolving the conflict was presented. This blueprint did not factor in a split between Hamas in Gaza and the Palestinian Authority in the West Bank, and did not take into account the collapse of Egypt, the regional power that was the driving force which pushed the Palestinians into negotiations. Neither did it foresee the rise of Iran as an alternative regional power. Even the departure of “the promise of the decade,” Salam Fayyad, who one day just disappeared, was not factored into the forecasts. Despite all these strategic changes for the worse on the Palestinian front, Israel is expected to agree to manage these risks in a manner that is identical to, or even more dangerous, than the one in place when the road map was laid out. This refers first of all to foregoing the transitional phase of a Palestinian state within temporary borders. Anyone demanding that Israel reach a settlement with the Palestinians should also remove the demand for an Israeli withdrawal from the Golan. 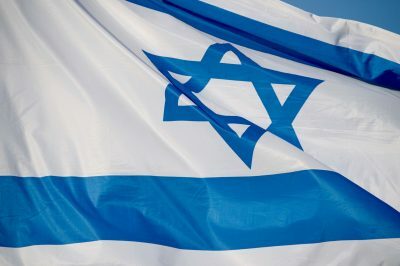 Israel will not be capable of dealing with a three-pronged front, consisting of Iran on a nuclear threshold, a failing Palestinian state situated “five minutes from Kfar Saba” and a Syria dangling its feet in the Sea of Galilee. Furthermore, the return of Iran to the family of nations, the U.S. exit from Shi’ite Iraq and continued Alawite control of Syria create a geographical axis of evil reaching from Tehran to Quneitra. This should not be brought closer to Tiberias as a result of some agreement. Any international guarantees given to Israel for the day after an agreement with the Palestinians is signed should also relate to the Golan Heights. This is not a separate issue, but an interrelated one. In 1975 President Gerald Ford connected an Israeli withdrawal in Sinai to a continued presence on the Golan as part of any peace deal, and this formula is now more relevant than ever. Nearly 40 years after Ford’s letter, Israel must now present its allies with a comprehensive security conception. Security arrangements and international guarantees in the Jordan Valley are not enough. The Golan’s topography and the absence of an effective buffer zone require certainty about Israel’s continued Israeli presence on the Heights, as part of any security arrangements. Above all, and in contrast to the state of affairs on the West Bank, any discourse concerning human rights is irrelevant on the Golan, which has a Jewish majority. The 20,000 Druze inhabitants there can become citizens in the only democracy in the Middle East. The Syrian alternative never looked more illusory for them than it does now. The enlightened world can present a price tag for the Syrian murderousness without harming the supreme principle of human rights. Israel, for its part, is entitled to demand a more tangible “carrot” for taking courageous decisions in this age of uncertainty. Zvi Hauser is Chairman of the Coalition for the Golan; Israel’s Cabinet Secretary (2009-2013).